Samsung is well known for seeding software updates for its older devices. Speaking of which, the OEM is recently rolling the December 2017 Security Patch for Galaxy Note 5. It is a minor update weighing around 17 MB in size. The firmware version number moves to N920GDDS3CQL4 based on Android 7.0 Nougat. This is just a monthly security level step-up and nothing big comes with it. It is rolling in most of the regions as of now. Although now most of the newer flagships Galaxy devices will receive Android O, Note 5 won’t be receiving any. It already had its share of two major updates. Recently, Samsung dropped the 4th phase of Oreo Beta for Galaxy S8. We can expect the stable version of the OS to release in January 2018. 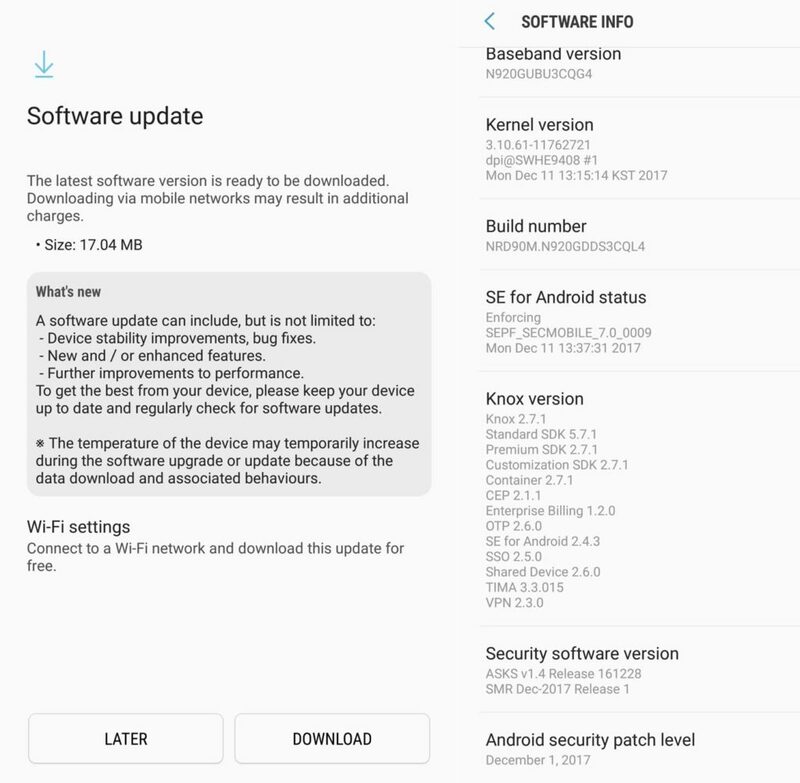 The December 2017 security patch for Galaxy Note 5 is moving over-the-air(OTA). Your device will automatically capture and install the update. You can manually do it too by going to Software update > Download updates manually option on your device. Apart from that, You can also download the latest firmware directly from Samsung servers. Though it is a small update since it fixes the security issues you should not miss it. Given that there shall be no OS platform upgrade for Note 5, keeping up with the latest software patch is a wise move. Keep scrolling on AndroidSage for all latest news and firmware updates for all Android devices.